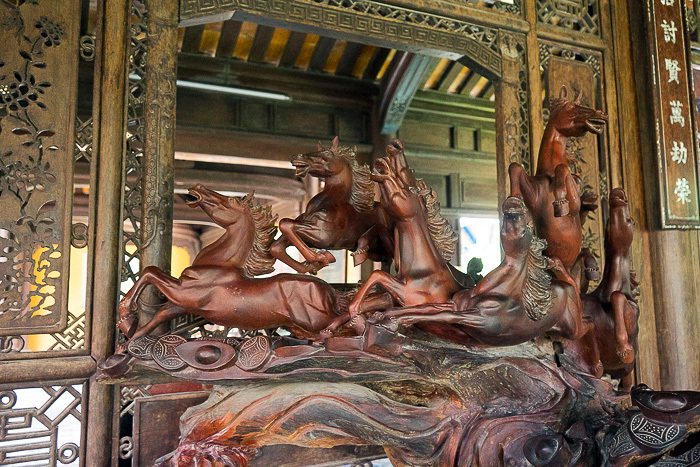 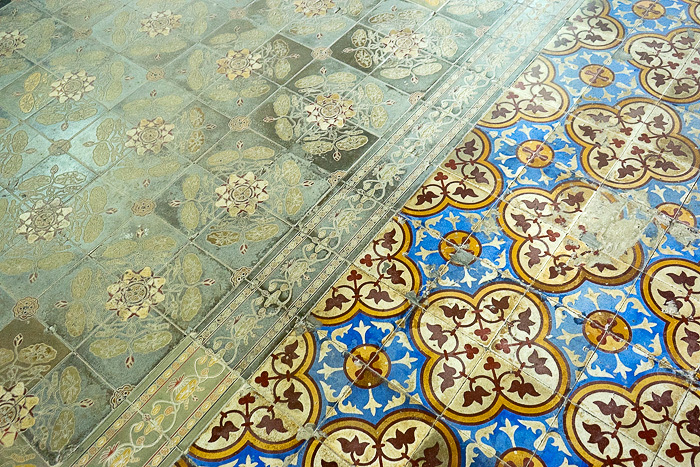 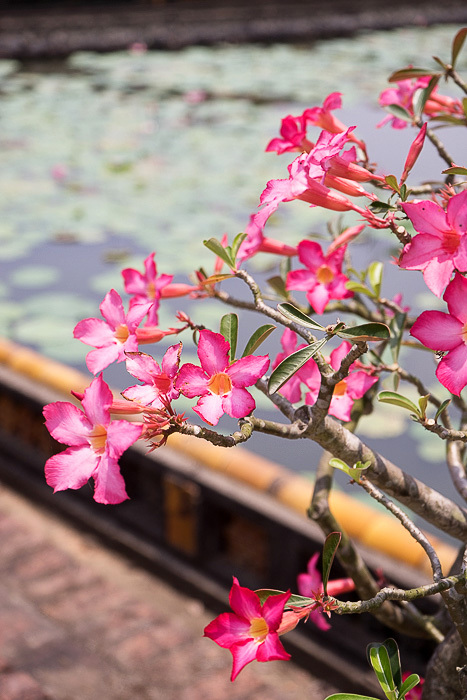 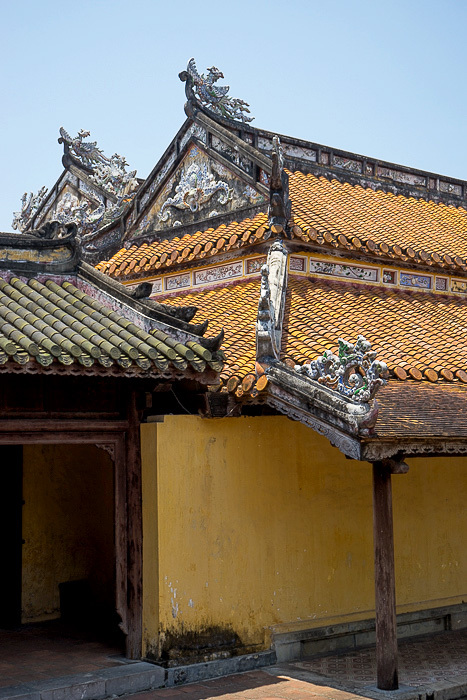 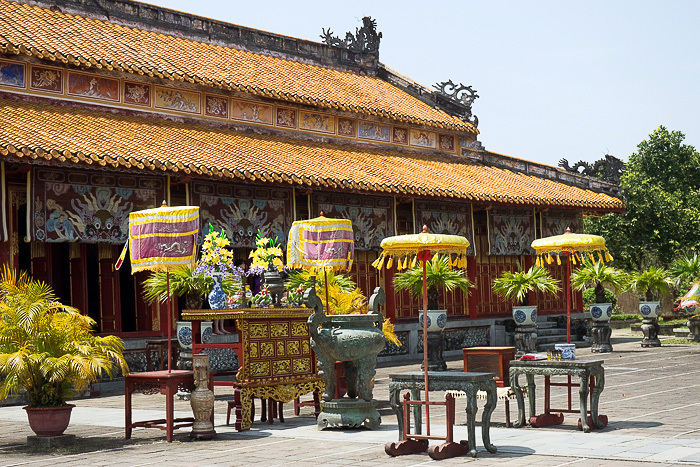 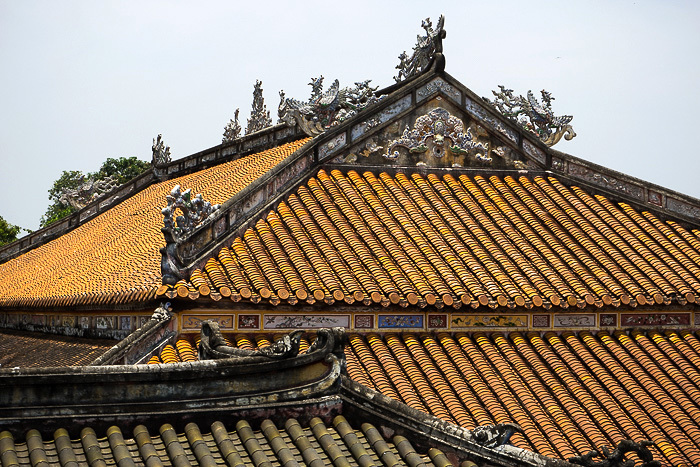 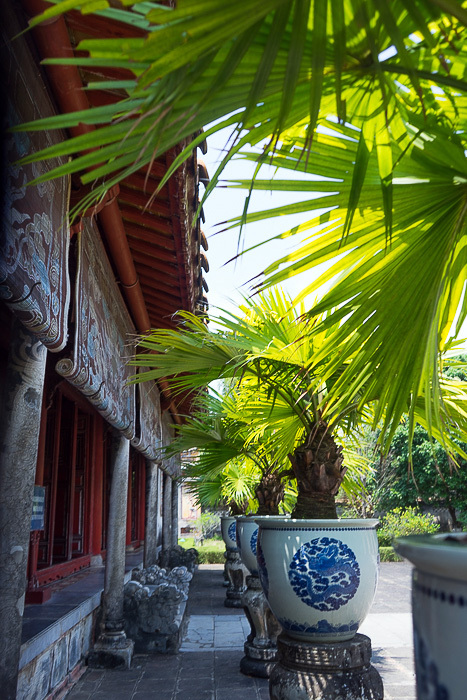 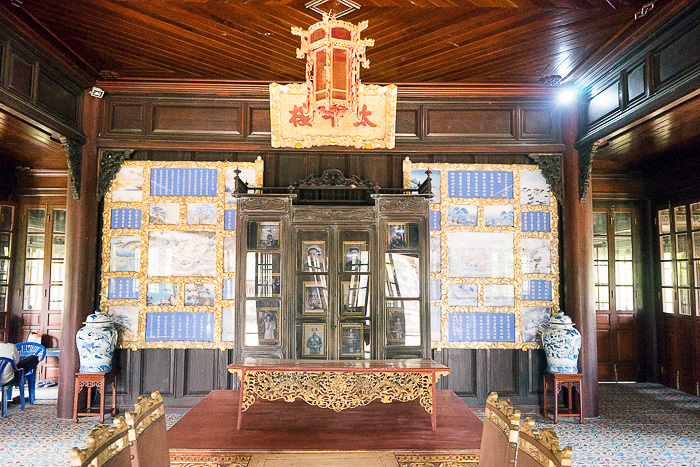 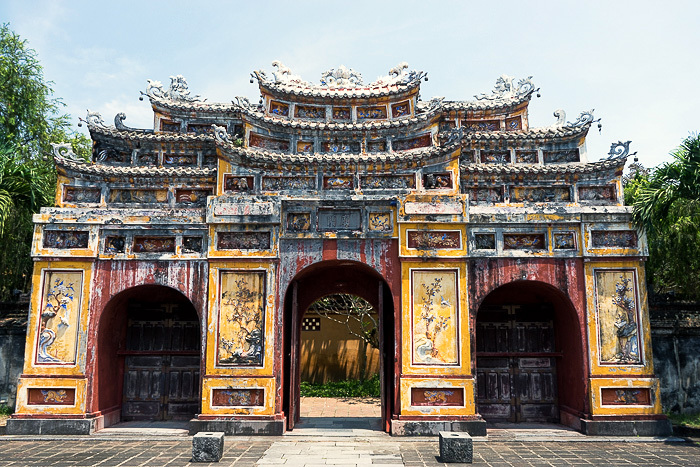 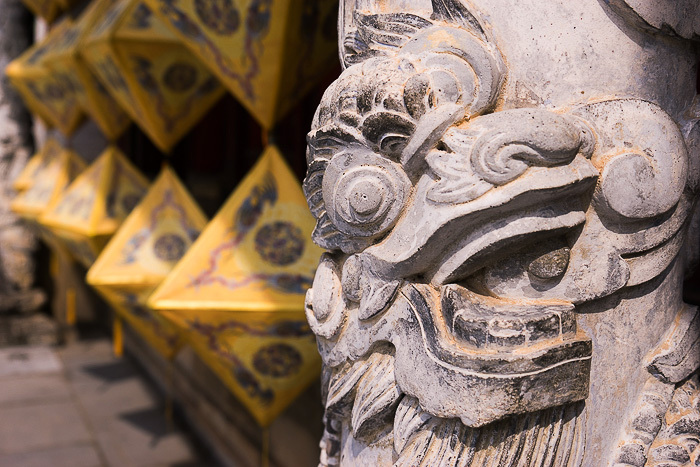 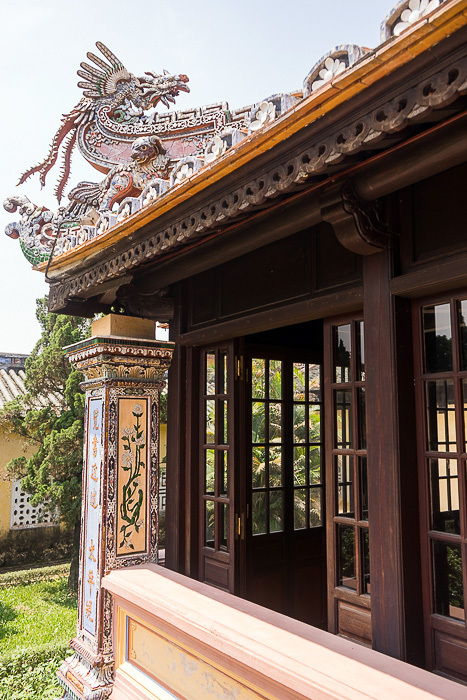 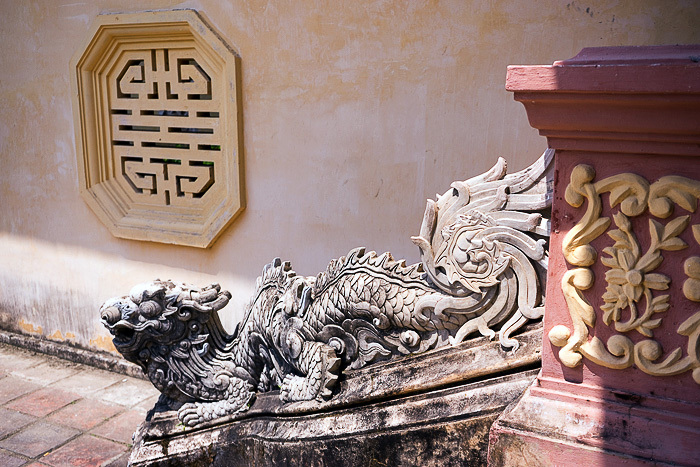 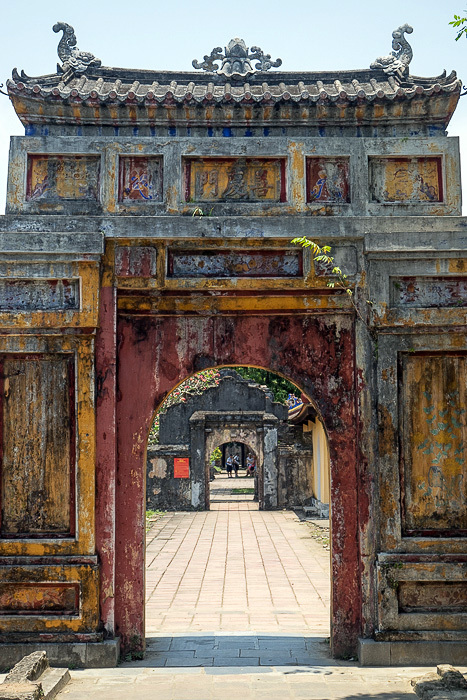 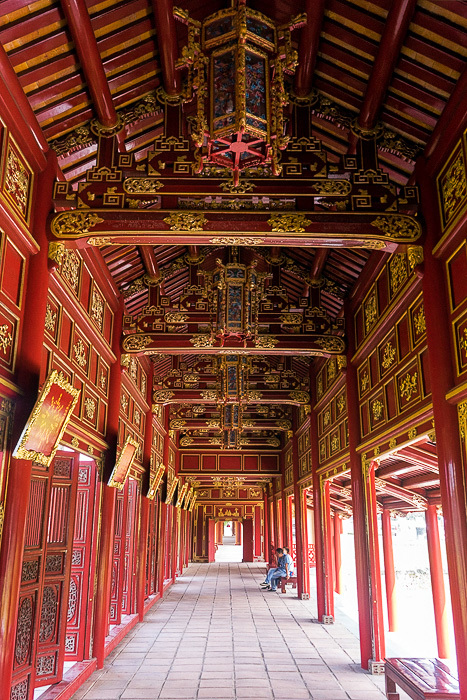 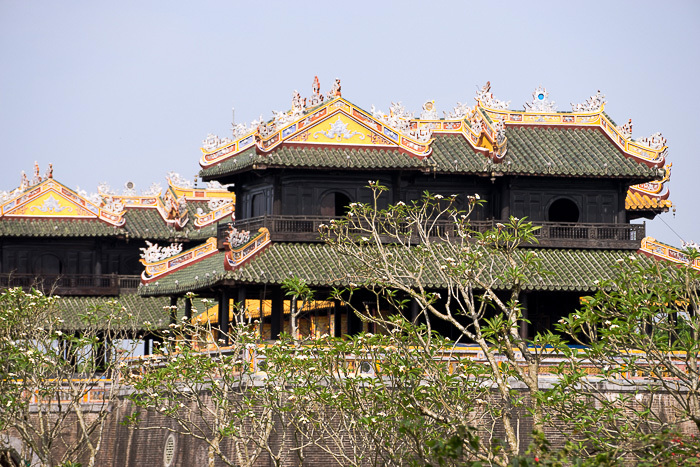 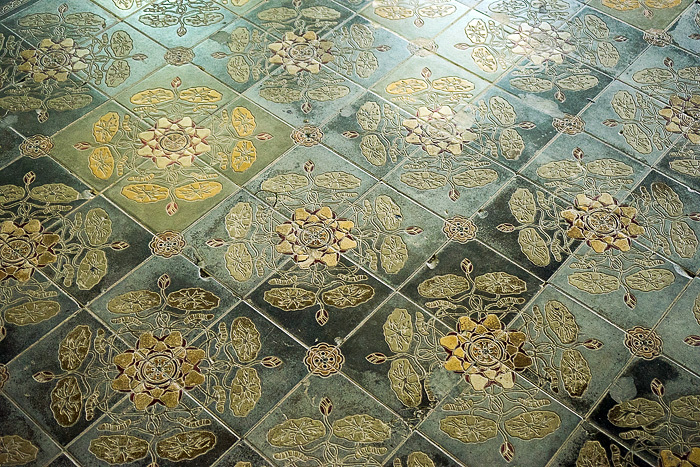 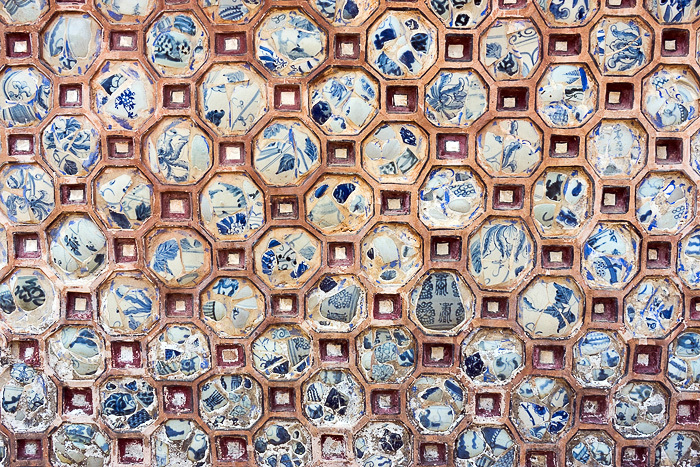 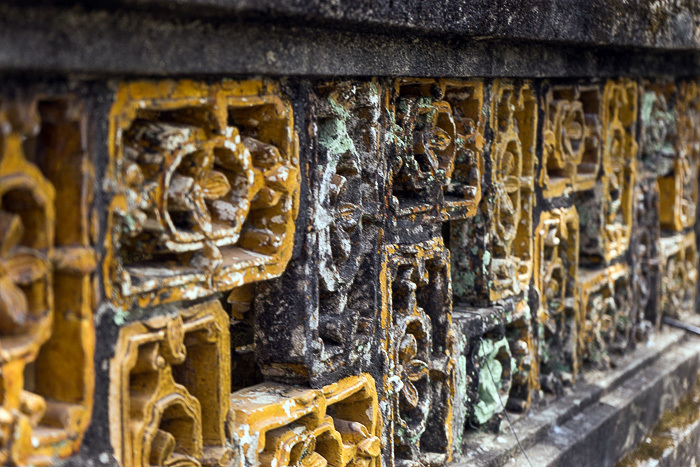 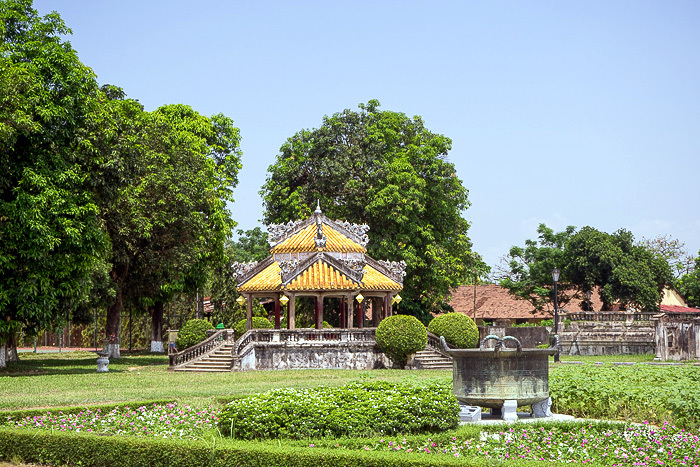 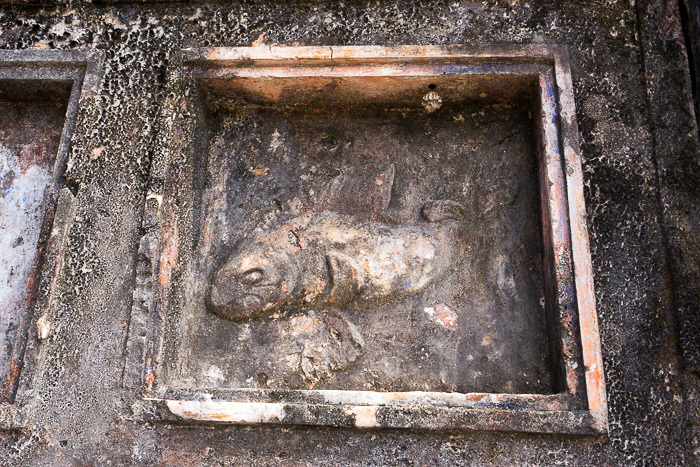 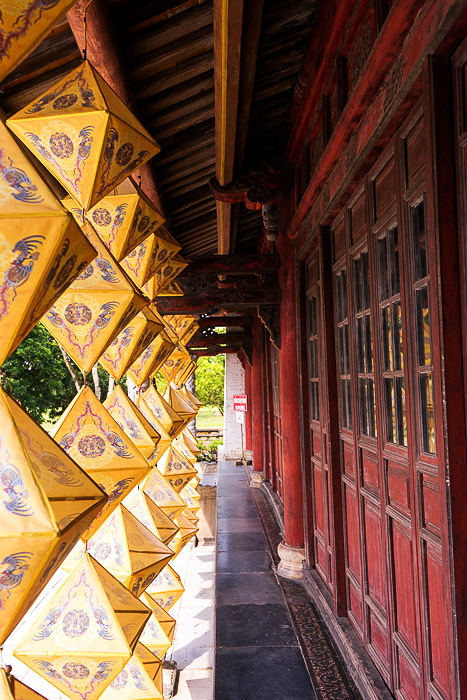 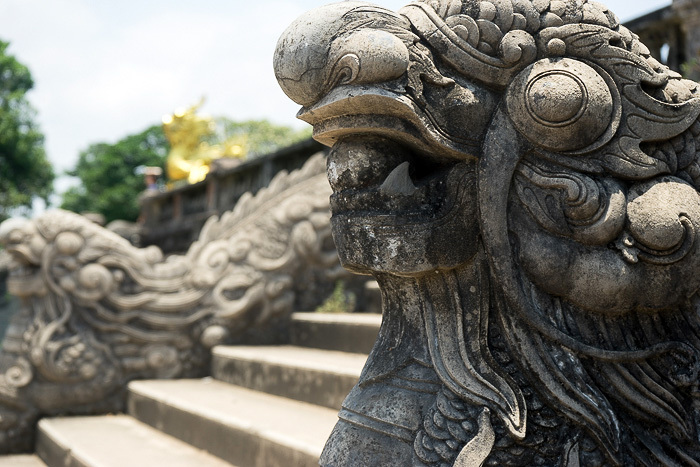 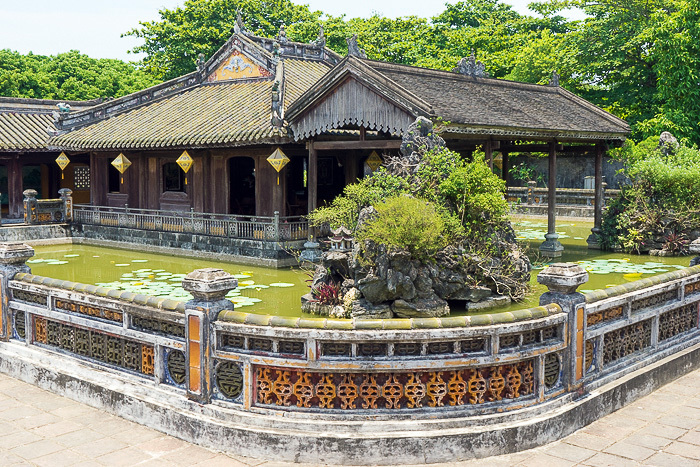 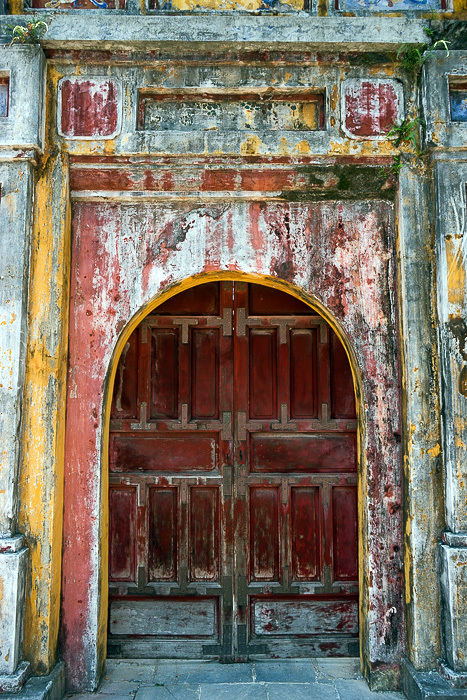 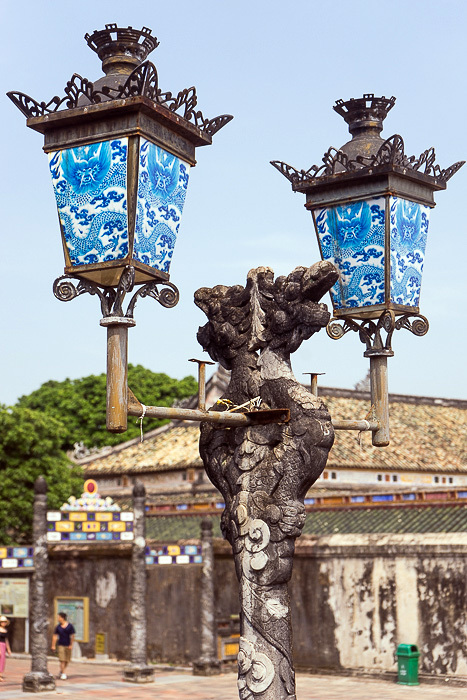 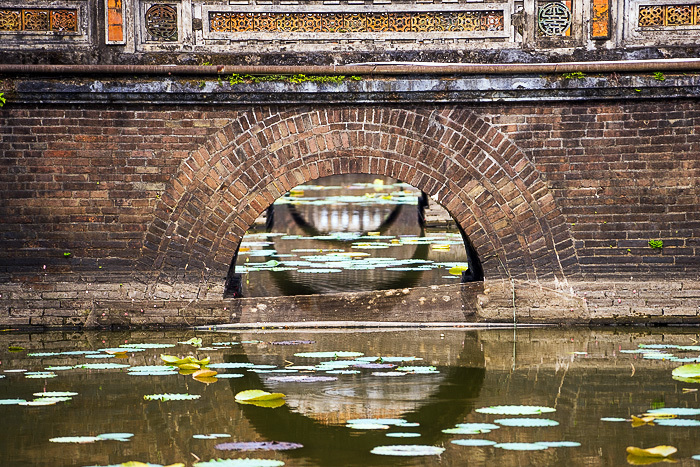 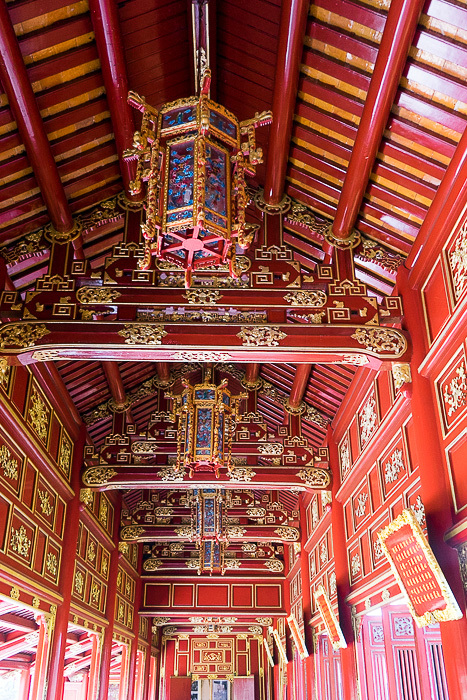 A UNESCO World Heritage Site, Hue’s Imperial City was the seat of Vietnamese power for 143 years. 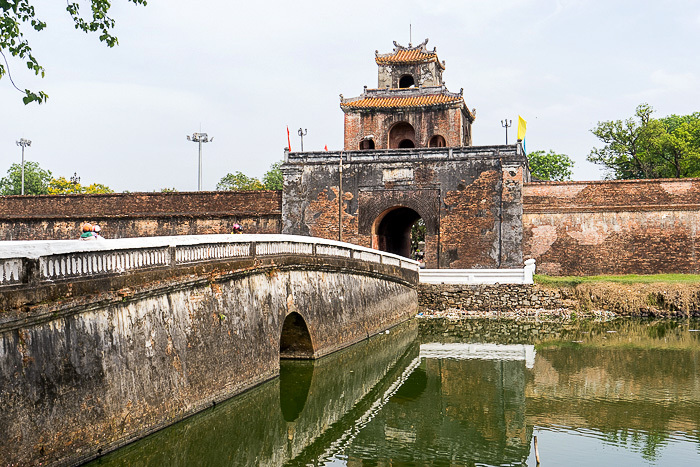 Emperor Gia Long, first of the Nguyen Dynasty, decided to move the capital from Hanoi into the center of the country, and built its massive citadel along the banks of the Perfume River. 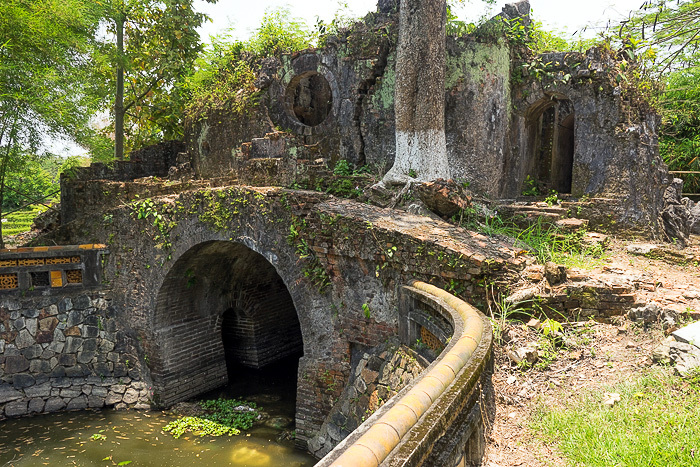 Today, the Imperial City is mostly in ruins. 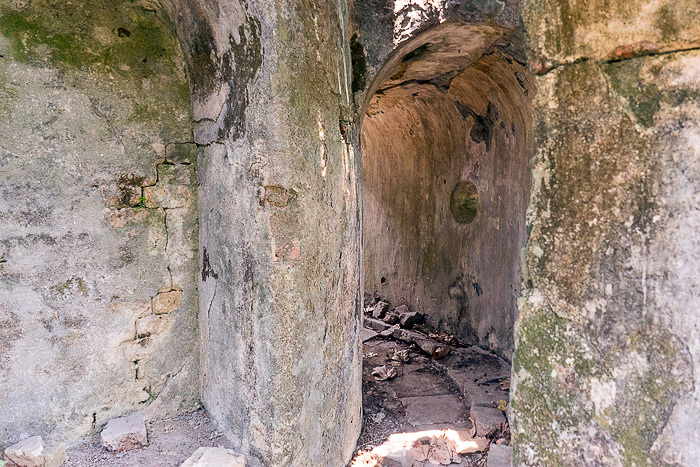 But what fascinating ruins they are. 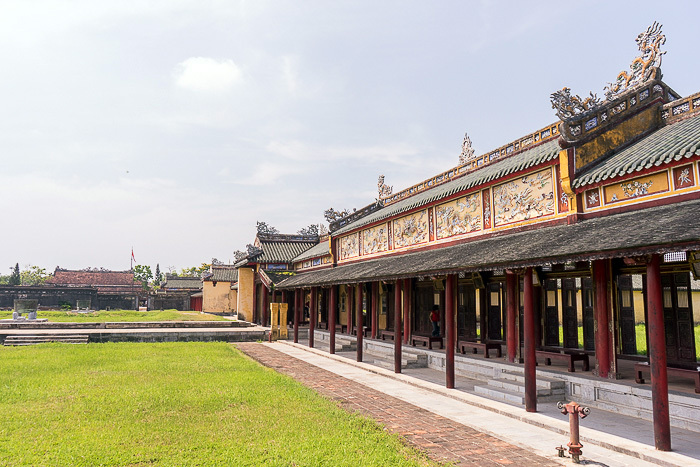 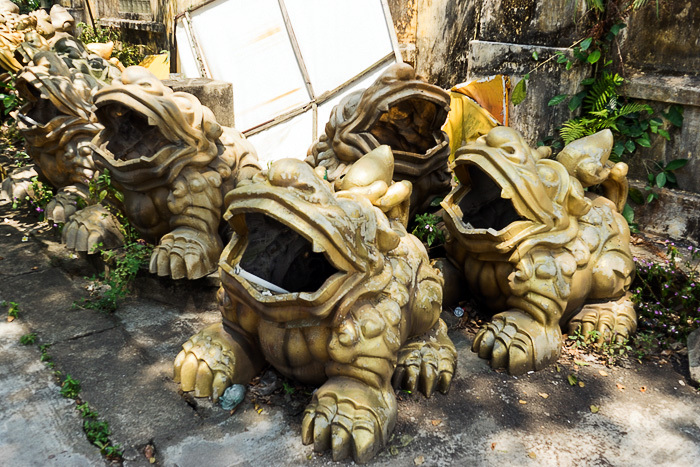 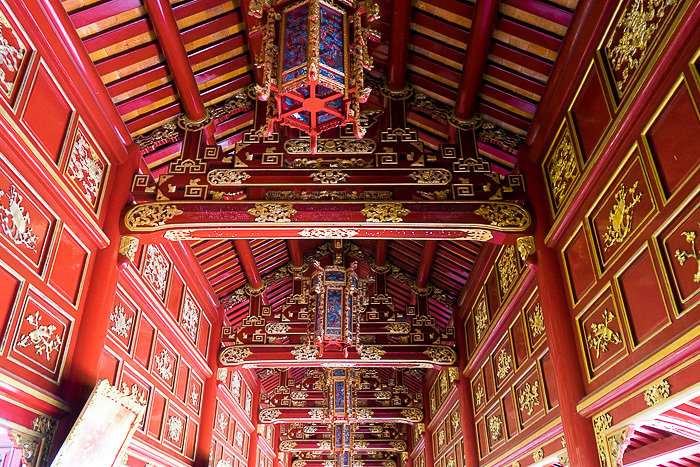 This complex is the Vietnamese version of Beijing’s Forbidden City, and its two square kilometers once contained 160 buildings, including temples, gates, living quarters, offices and even a theater. 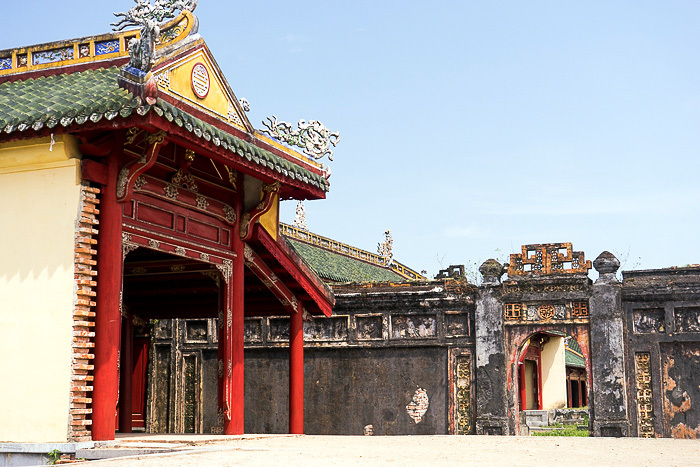 Most of these were destroyed during the devastating Battle of Hue, in the American War, and today only about a dozen buildings remain intact. 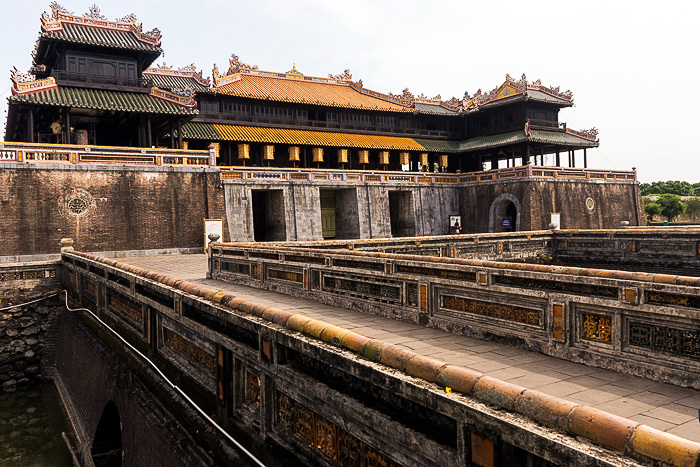 The first thing you’re likely to notice about the Imperial City is its sheer size. 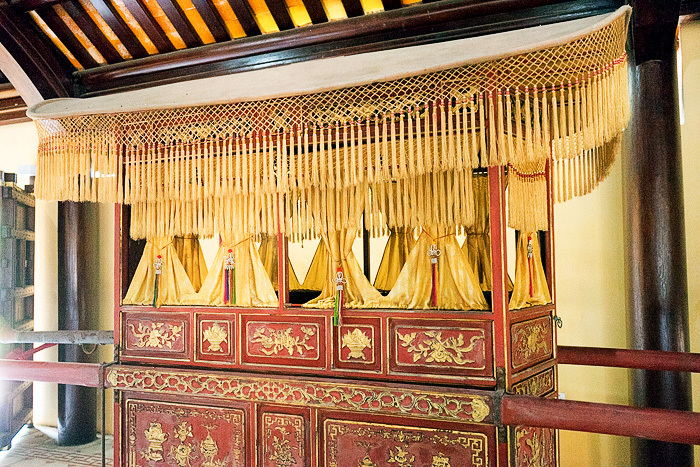 It’s hard to imagine that even an emperor would need so much space. 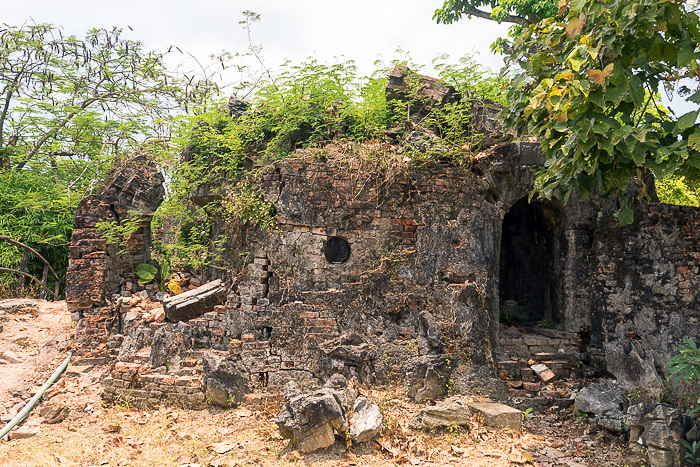 Of course, it feels bigger today, because the city is primarily comprised of empty fields, pockmarked with the unidentifiable remains of destroyed buildings. 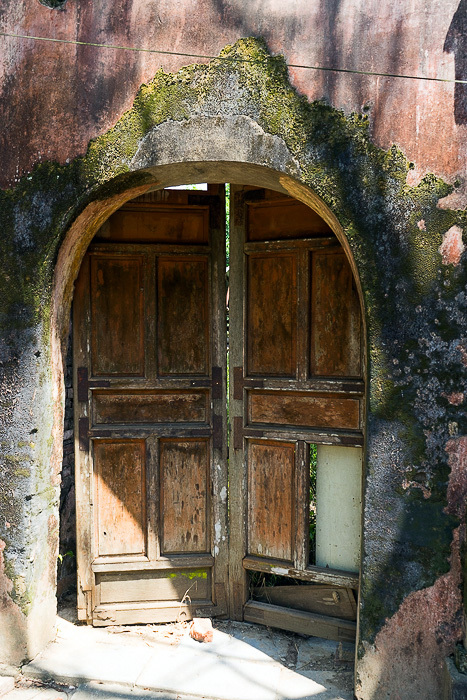 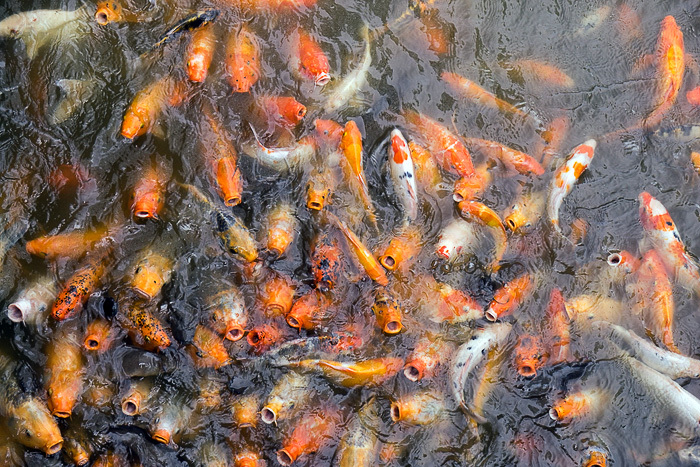 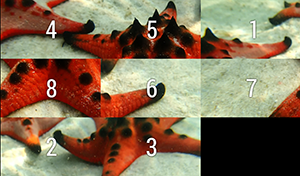 Efforts have been made at restoration, but there’s still a long way to go. 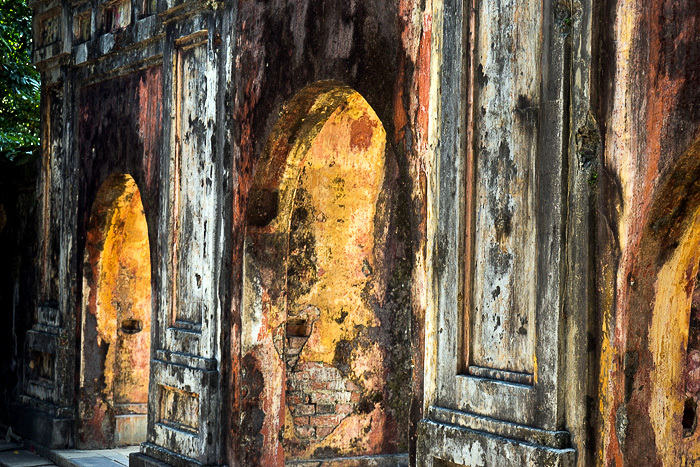 Far from being a negative, though, the city’s state of ruin adds tremendously to its atmosphere and the sense of lost grandeur. 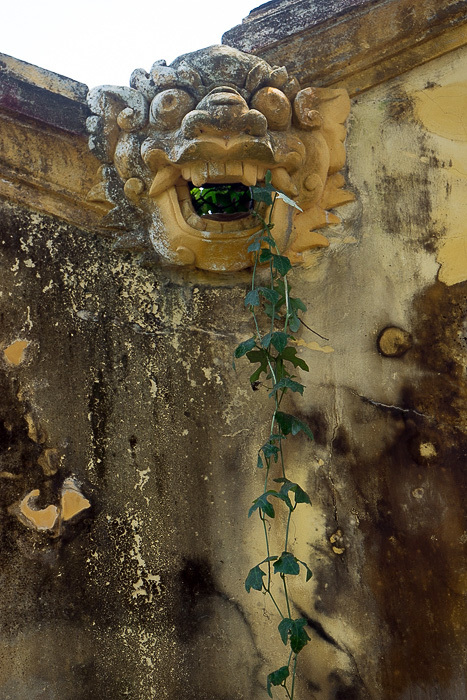 When an empire falls, it falls hard. 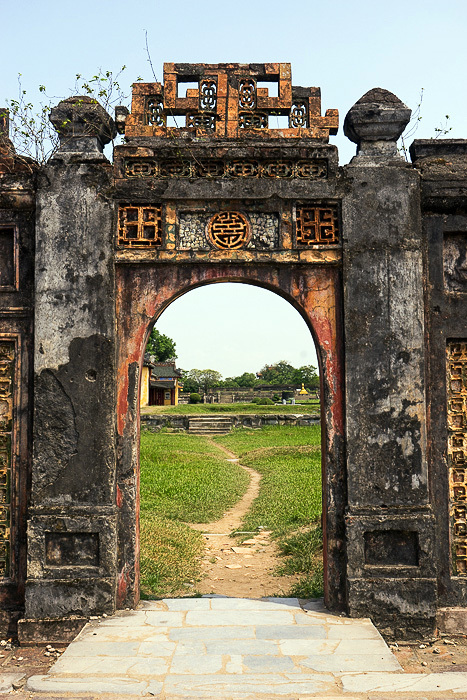 Given its size, visiting the Imperial City is not an activity you can knock out quickly. 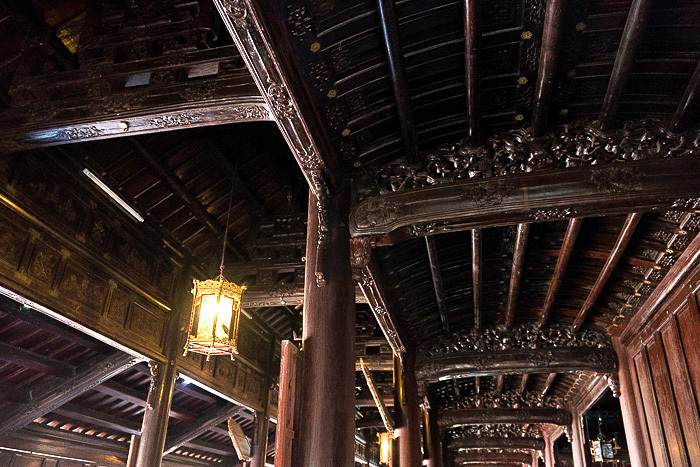 We needed about four hours to see everything. 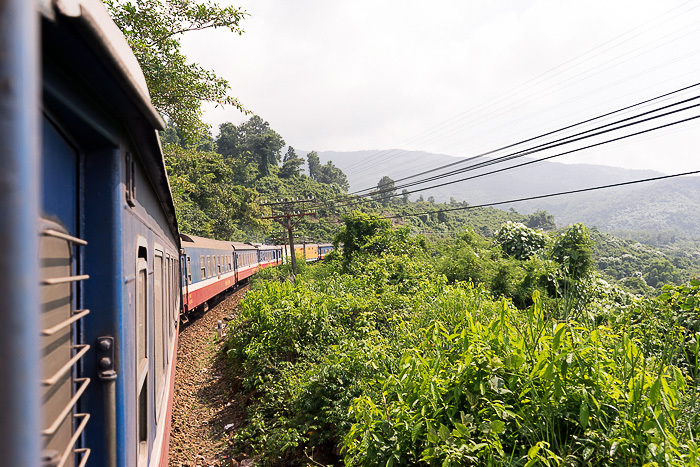 But they were hours well spent; although we were tired and overheated, we were never bored. 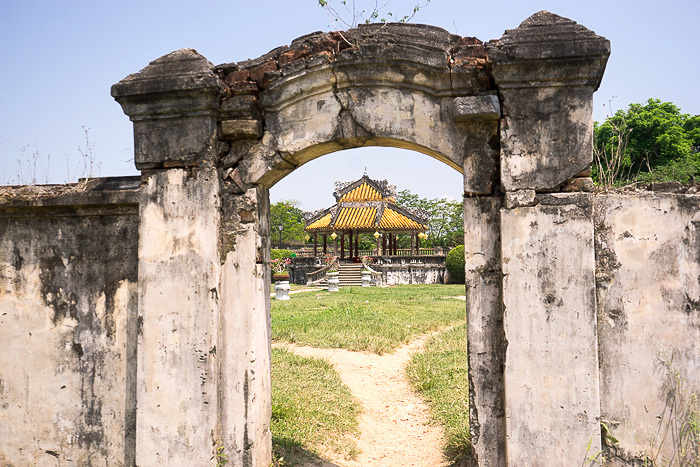 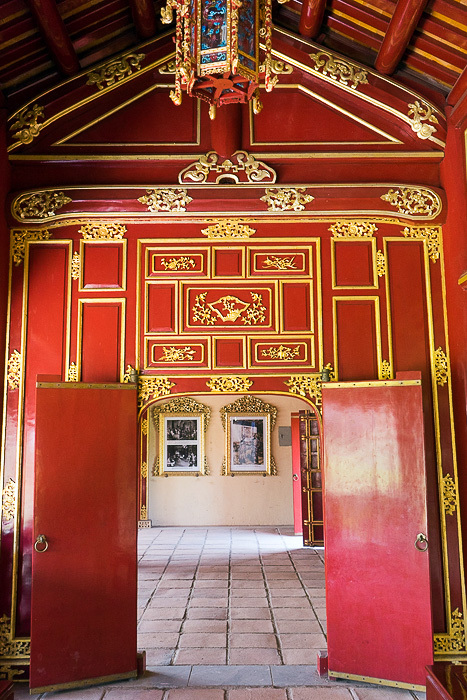 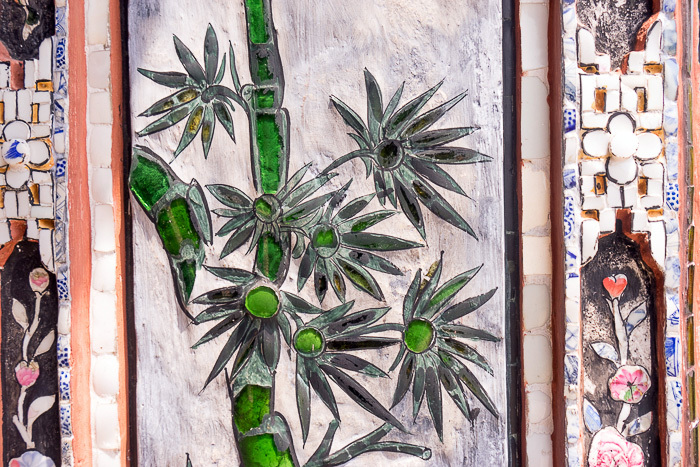 We crossed the moat, climbed onto the flat pyramids of the flag tower, explored the giant and totally-restored Temple of Thế Miếu, wandered through the mostly barren fields, took a break at Tinh Tam Lake, and heard music coming from the Royal Theater. 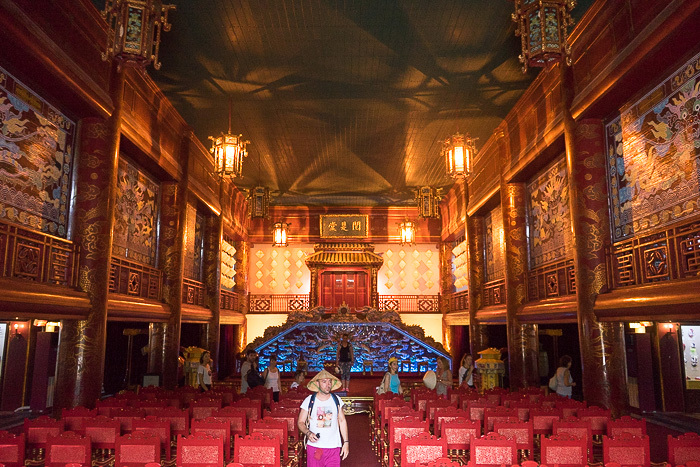 You can pay extra to experience a performance in this theater, built in 1826, although it’s not cheap. 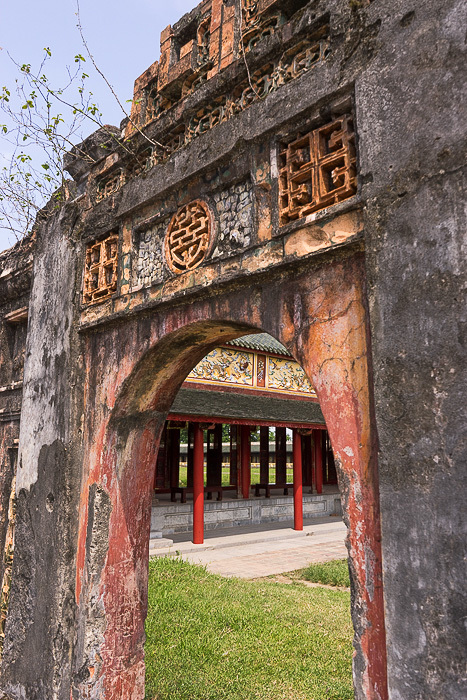 The western side of the Imperial City was once the location of the Forbidden Purple City: a city within a city, within a city, accessible only to the Imperial family and their most trusted eunuchs. 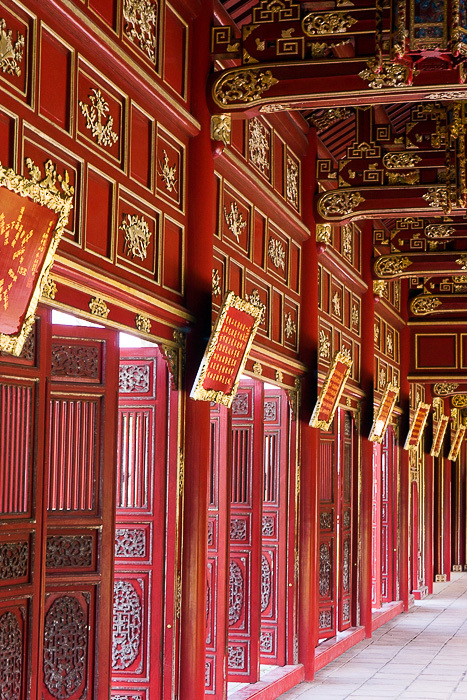 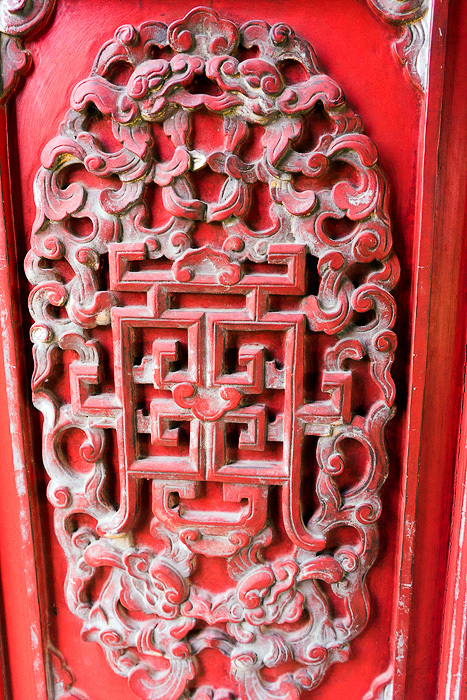 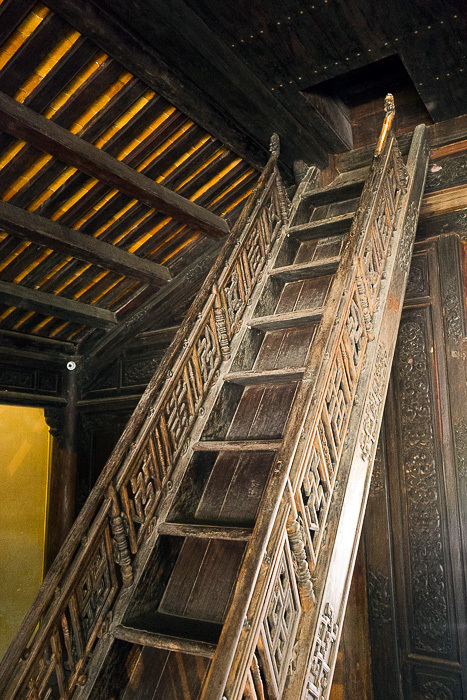 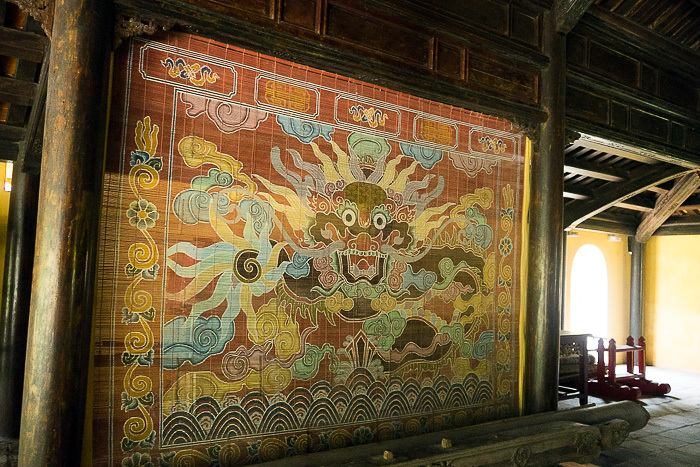 Today, it’s hard to tell where the Forbidden City begins or ends, but you can visit a couple small palaces, in which the families resided. 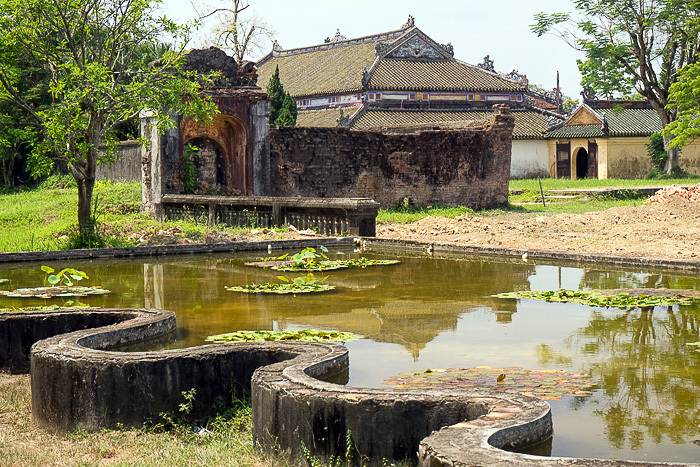 We loved the temple of Phuoc Tho, which was mostly spared from the war. 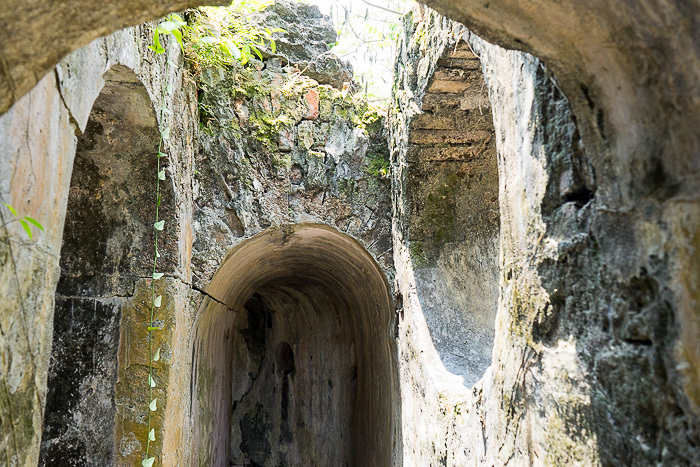 It’s tucked away in the far corner of the Imperial City, but we were shocked by the absolute lack of other tourists here. 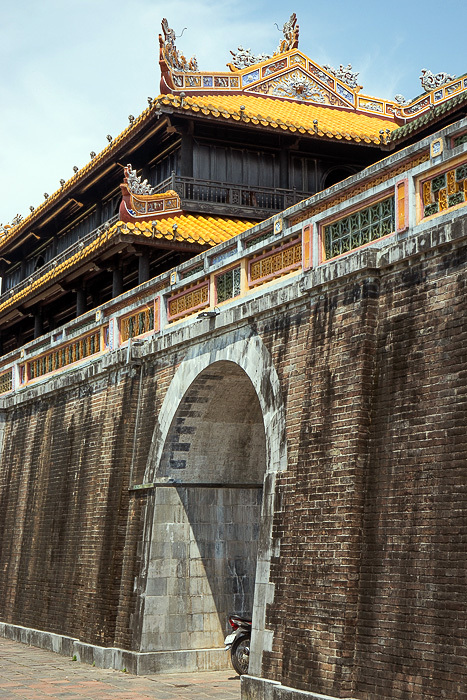 The Imperial City might be a mere shadow of what it once was, but it still provides a fascinating glimpse into the past. 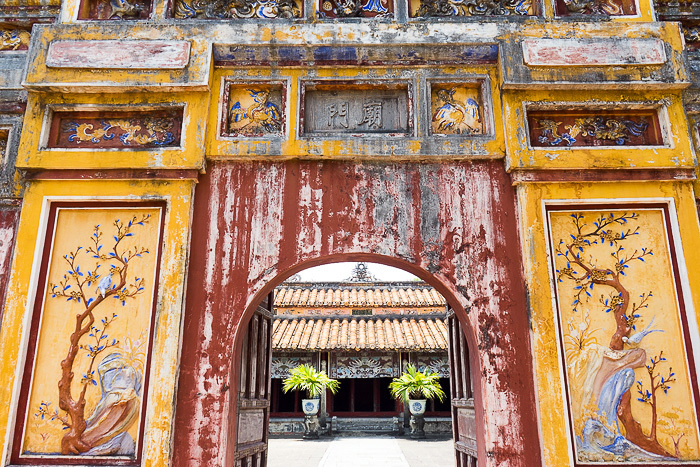 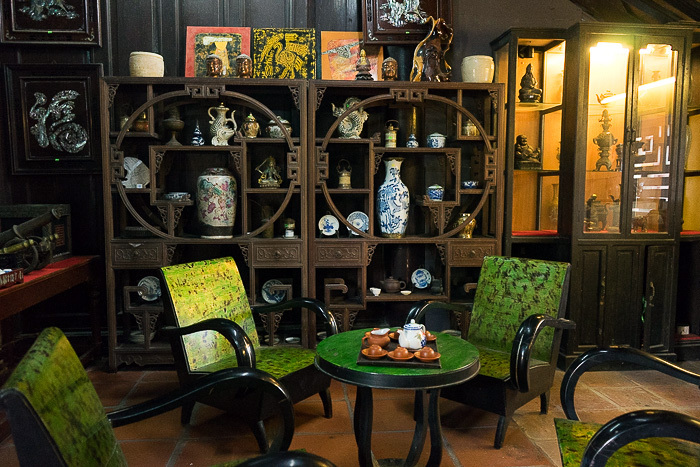 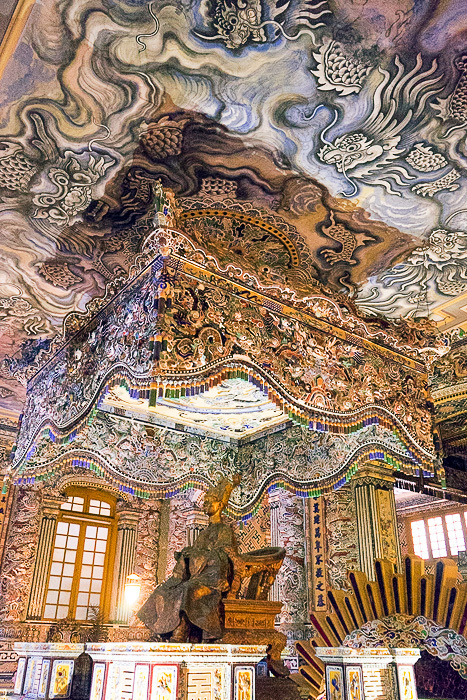 If you’re spending any time in Hue, it’s a must-see.